The per capita consumption of tissue in the U.A.E. in 2013 was 12 kg, as opposed to 4.5 kg in China, 24 kg in the U.S.A. and 16 kg in Western Europe, according to industry officials. The statistics were released on the sidelines of Paper Arabia 2014, the first-of-its-kind industry expo, which was opened yesterday at the Dubai International Exhibition and Convention Centre by Buti Saeed Al Ghandi, Chairman of the Board of Directors, Emirates Investment and Development PSC, U.A.E., and Managing Director of the Al Ghandi Group. 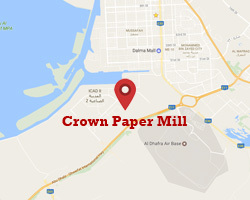 The U.A.E.’s production of tissues totalled 120,000 tons in 2013 through three Abu Dhabi-based mills: Abu Dhabi National Paper Mill (ADNPM), Queenex Hygiene Paper Manufacturing LLC (QHPM) and Crown Paper Mill. Consumption was 70,000 tons, with hotels and the tourism industry taking a significant share of this figure. 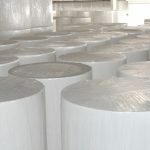 “The three Abu Dhabi paper mills serve a wide range of nearly 40 converting factories. 40 percent of the production at QHPM is consumed locally, while the balance goes to GCC and other countries in the world,” said Nahed Basma, Sales and Marketing Manager, QHPM . Helmut Berger, General Manager, Abu Dhabi National Paper Mill (ADNPM), said, “A big chunk of tissue consumption in the U.A.E. is facial tissues, quite different from the consumption in other parts of the world”. According to statistics, facial tissues represent 65 percent of the total tissue consumption in the country, as revealed at the show, which will continue until Tuesday 23rd September. As far as the general paper industry is concerned, production and printing of paper is largely done in the U.A.E. for the entire Arab world. Paper Arabia is a key platform for traders and industry players to interact and elite players from the industry are participating in Paper Arabia 2014 as they believe it offers opportunities to the manufacturers and suppliers of finished products, equipment, machinery, paper chemicals, services, supplies of paper, tissue and converting sector to access the lucrative Middle East and North African markets.